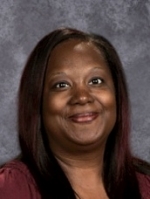 Mrs. Hampton earned her bachelor’s degree and currently teaches Pre-Kindergarten at Cougar’s Den Pre-School, a program of 21st Century Charter School at Gary. What motivates me to work with students each day is their motivation. At times I know that my job description goes farther than me being a teacher. Sometimes, I have to step out of my teacher role and become that nurturing teacher, that the students are happy to see each day. Also, the students teach me things that I as an adult only see from my point of view. When I am still and listening to my students, I can hear them motivating and teaching each other. What I enjoy about working in a school is the collaboration with the staff. Ms. Hampton is looking to continue my education to pursue a Master’s degree and help mentor her chuch’s young teen mothers. She enjoys spending time with family, reading, and listening to music.